This international bestseller and seminal work analysing the Dead Sea Scrolls and early Christianity has been fully updated and abridged. Featuring revelations about the early Christian Church, this title is a challenging work of historical detection uncovering deliberate falsifications in New Testament documents. Category: Ancient Wisdom, Conspiracy Theories & Alternative History, Religion and Spirituality Tags: alternative history, church, james, jesus, new testament, religion, christianity. Was James, rather than Peter, the true spiritual heir to Jesus? 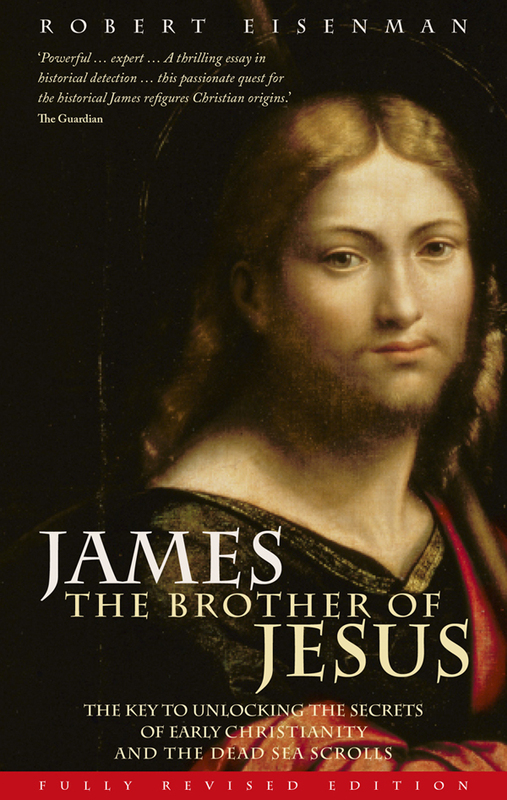 In this profound and provocative work of scholarly detection, eminent biblical scholar Robert Eisenman introduces a startling theory about the identity of James, the brother of Jesus, who was almost entirely marginalized in the New Testament. Drawing on suppressed early Church texts and the revelations in the Dead Sea Scrolls, Eisenman contends in this groundbreaking exploration that James, not Peter, was the real successor to the movement we now call ‘Christianity’. In an argument with enormous implications, Eisenmann identifies Paul as deeply compromised by Roman contacts. James is presented as not simply a leader of the Christianity of his day, but the popular Jewish leader of his time, whose death triggered the Uprising against Rome, a fact that creative rewriting of early Church documents has obscured.